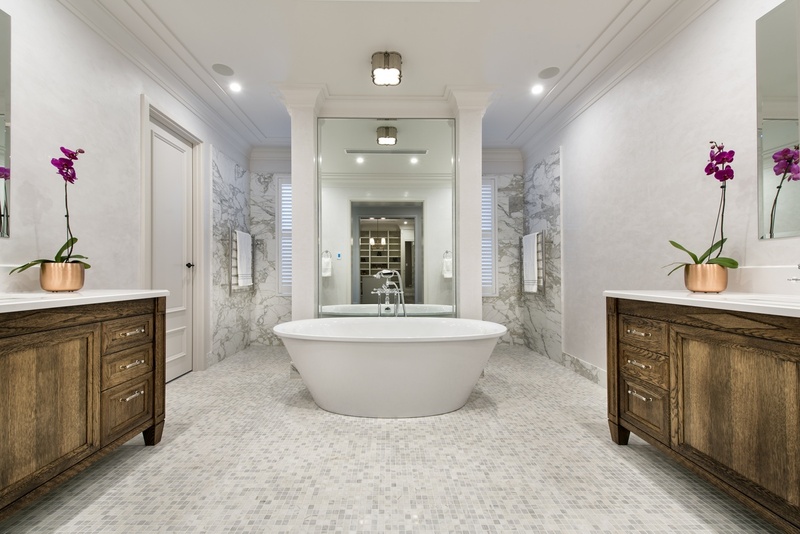 This beautiful Dalkeith home is the result of a collaborative effort between M. Carbone Design , Zorzi Builders and interior designer, Cassandra Tana. 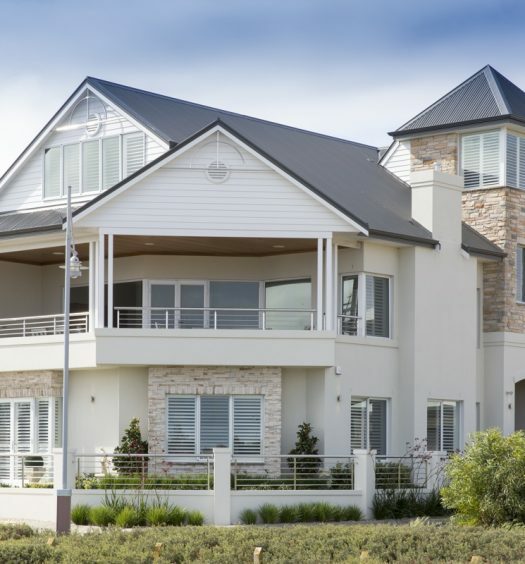 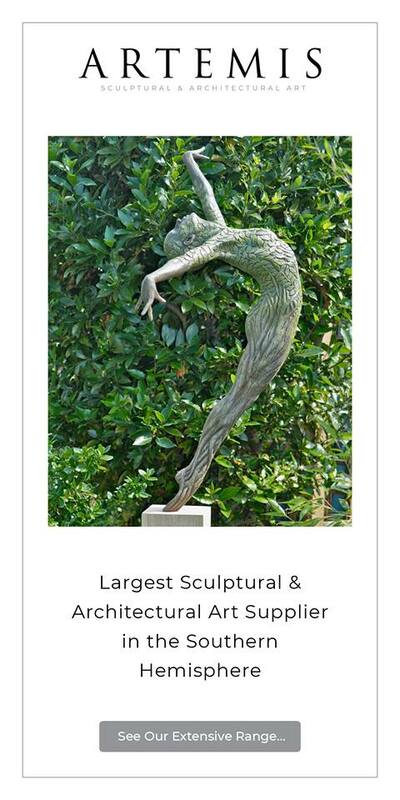 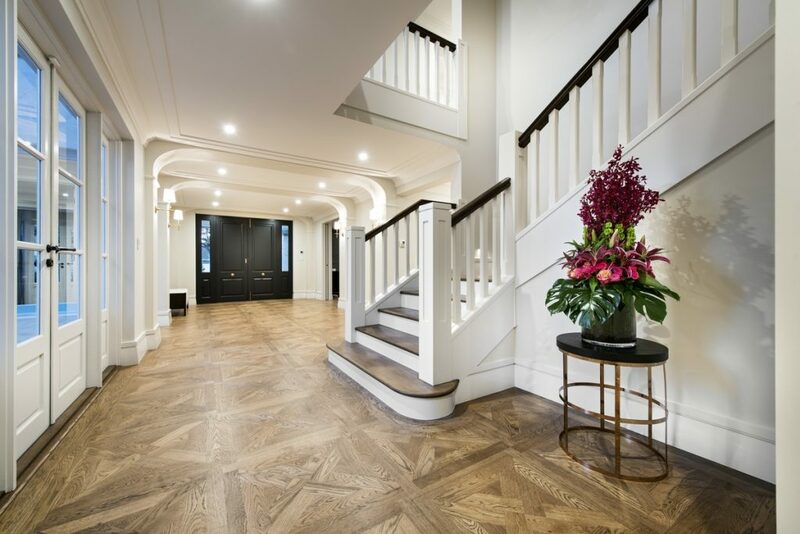 A fusion of modern and classic architecture the home has distinct European influences throughout, from the Moda Dado swan plaster and sand rendered exterior to the basket weave French Oak flooring found inside the home. 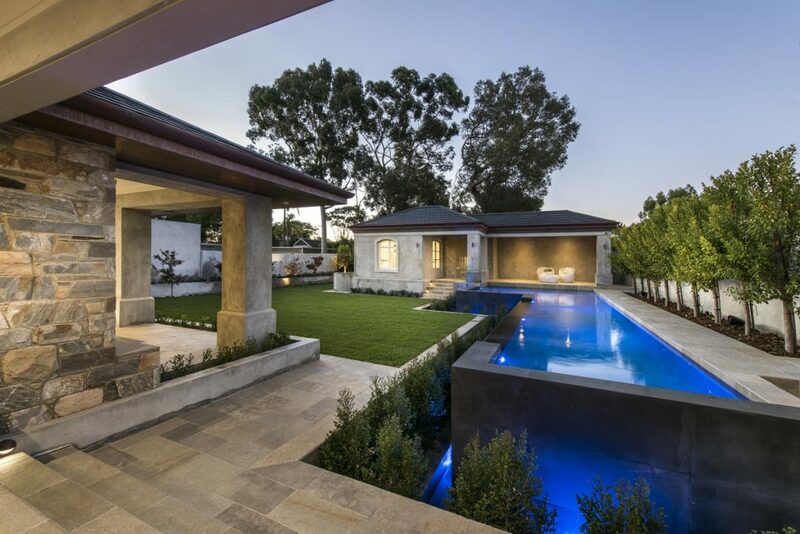 Although the building site was ideal for a standard two story home the design required excavation to incorporate a third basement level of 300 sqm which extended to the boundary of the property, requiring extreme care to support the neighboring home whilst work was undertaken. 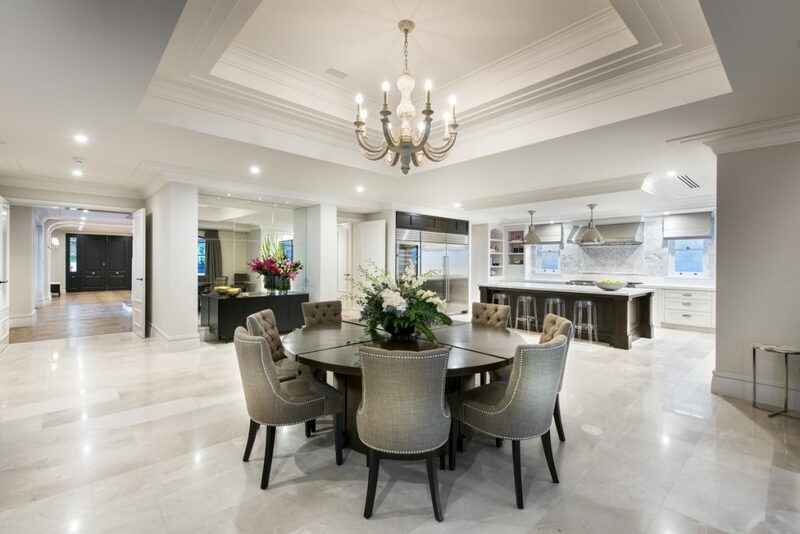 The quality of materials and finishes throughout the home are exceptional with under floor heating below the parquetry as well as the stunning 800 x 400mm marble tiles used in the main floor area. 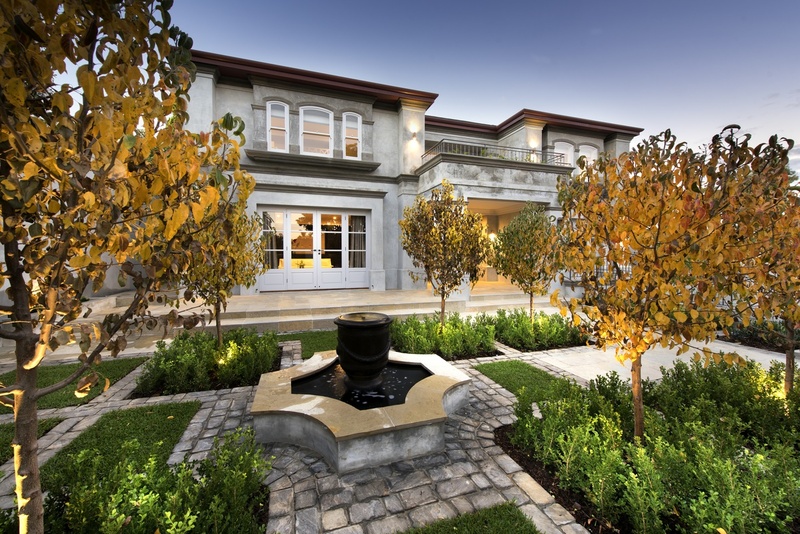 Landscaped gardens surround the home, the rear pool house and alfresco area, and incorporate water features and rustic stone paving that are again reminiscent of an elegant European estate.